Wow, it's been over a month since my last post. I have a good excuse, really: technology! Several months ago my computer started acting up. Apparently I inadvertently downloaded a virus, thus bypassing my virus protection. (Yeah, I'm pretty upset by it.) I have an awesome friend who was able to scrub the computer -- for free! -- but I had to work around his busy schedule. In the meantime I was blogging from my incredible smart phone. It wasn't as easy as the computer, but it worked -- then my 8-month old puppy ate my 2-month old smart phone. I thought we had insured the new phones but it turns out I was wrong. Until I can afford to fix/replace it, I'm using it as is. My phone works, but the display is wonky. Thankfully Awesome Friend found time between classes to fix my desktop and I'm back online. Good thing, because I've got lots to say! First off, look at my phone! 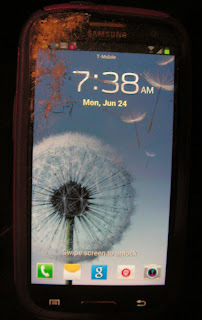 The upper left corner is chewed to bits, and the screen is cracked all the way to the other three corners. Fortunately, I had an Otter Box, else I think he would have chewed it in half. I was sooo mad! While I was in the shower Jedi had taken my phone off the nightstand, chewed it up nice and good, and then left it on my bed. When I saw it I said screeched "What did you do?!" 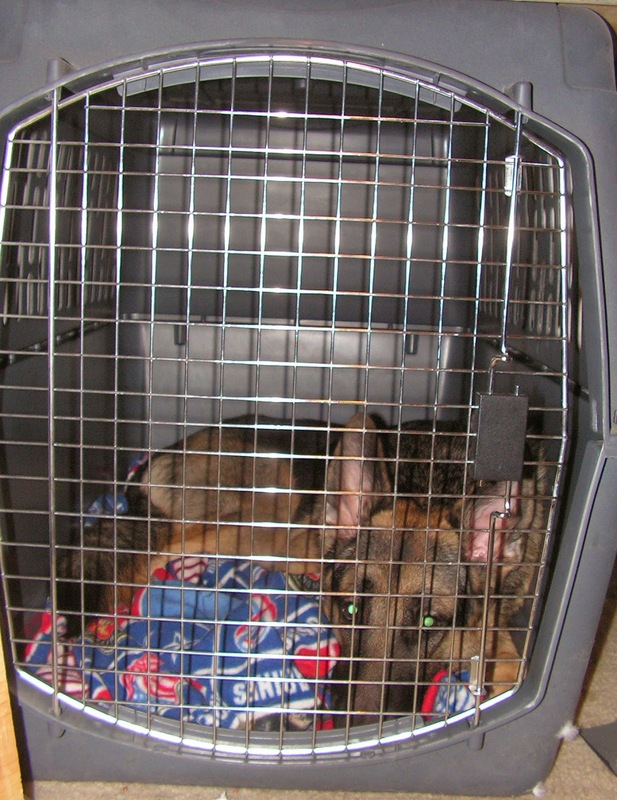 and he put himself in the crate. I left him there and went to work (but not before documenting the evidence!) I guess it's not safe to let him have free roam of the house while I'm getting ready for work. 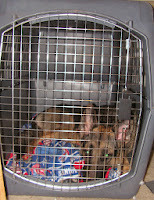 Now, if Hubby can't/won't supervise him, he's in the crate. He's so big that sometimes I forget he's still a puppy, prone to stupid puppy behaviors. Screen aside, the phone works fine. 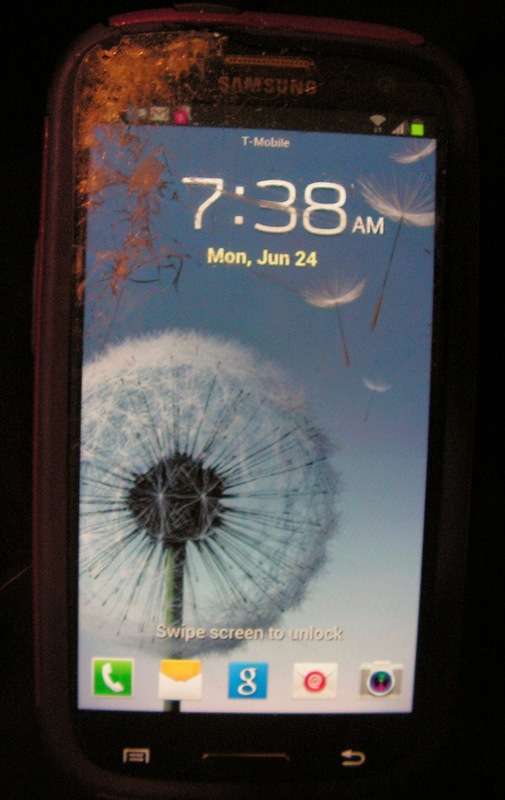 Shortly after the phone incident I found this blog which states that "American pets damage about 8 million electronic devices each year, according to a new survey. Among the most frequent victims: remarkably chewable cellphones." I guess I'm not alone. Unfortunately, that's not comforting. We're Going to Do It!